Cut the chicken into evenly sized cubes and fry off. 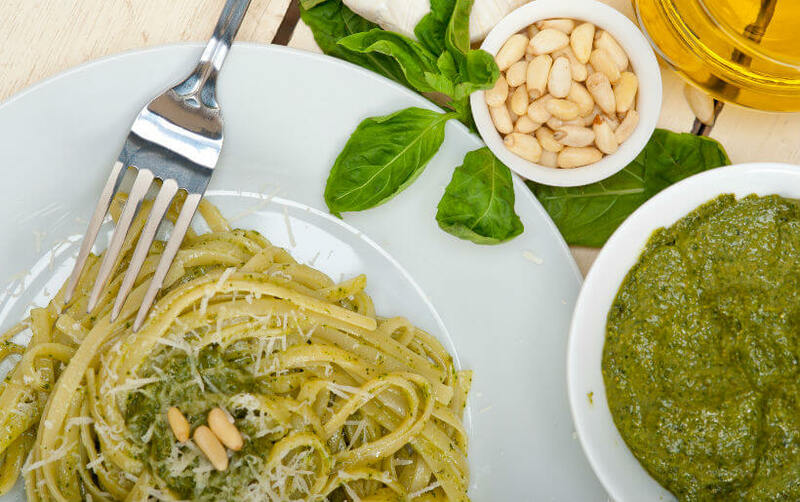 Remove chicken from the heat and stir through linguini with the basil pesto. Top with fresh basil, pine nuts and grated parmesan.